A couple years ago, I purchased this little rustic bistro set at the neighbor's garage sale. 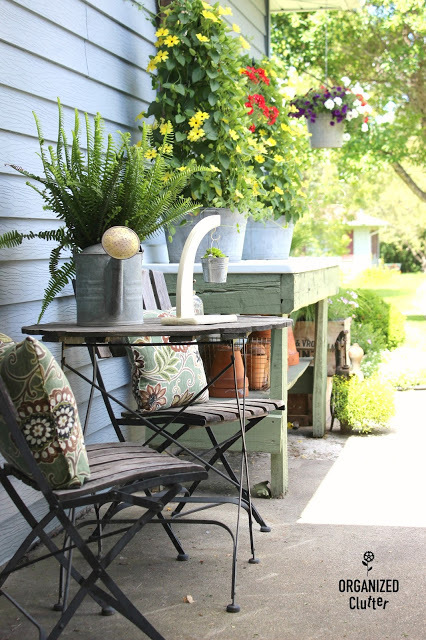 For two years, I had the little table and chairs next to my potting sink/bench just a few feet from my covered patio area. This year I decided to stencil on the table with my Decoart 18x18 Mandala Americana Decor Stencil . 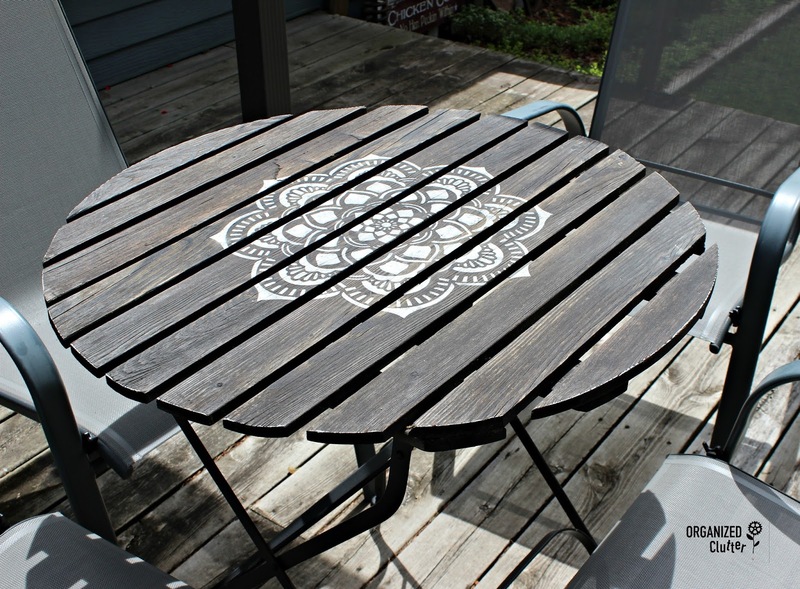 I used Fusion Mineral Paint in Champlain to stencil on my design. 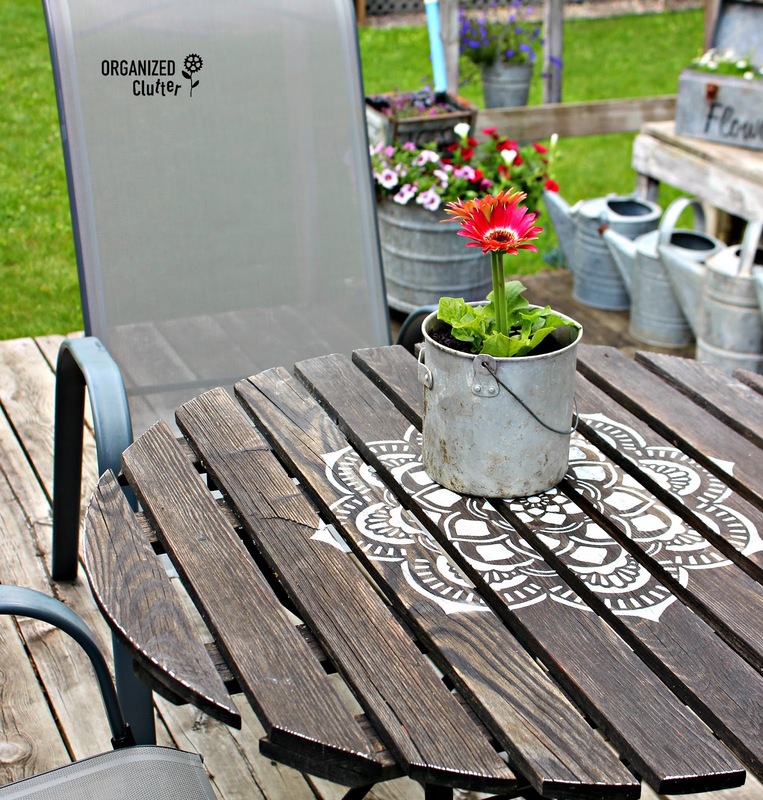 I pondered how to seal my table and stencil, and settled on THOMPSONS WATERSEAL with Wood Protector . I don't know that this stencil protection technique is the best one, and surely not advised on the can, but the Thompsons darkened the wood and popped the stencil. I love that rain drops beads up on the table rather than soaking in. So far it's working well. 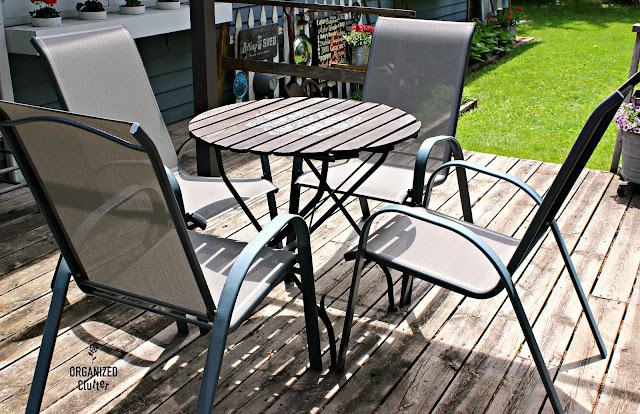 You are probably thinking this table is pretty small for cookouts on the deck, but that doesn't happen here much anymore. Gatherings are small and informal. My older daughter purchased four gray, stacking, sling chairs from Target for my Mother's Day gift. These chairs are so easy care. They dry out fast after a shower, and are very comfortable.